The issue comes from the widget named Matrix Dynamique not correctly calculating its height on your form, when this widget is still empty. 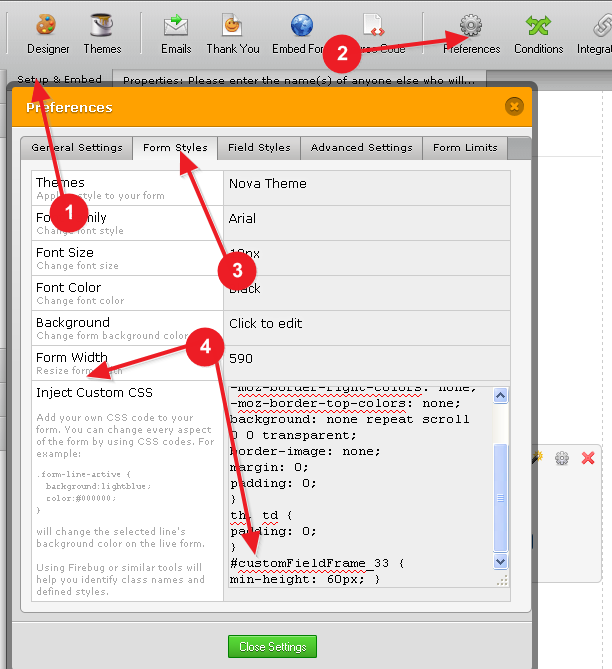 Essentially, you should click on Setup & Embed > Preferences > Form Styles, and paste that code to the very bottom of the Inject Custom CSS field. That works perfectly - thank you so much. Thank you for your kind words, and thank you for using JotForm. Please don't hesitate to contact us again should you need any other help with your forms, we will be happy to assist.